Audry Blinstrup has served in various roles in education for 28 years. 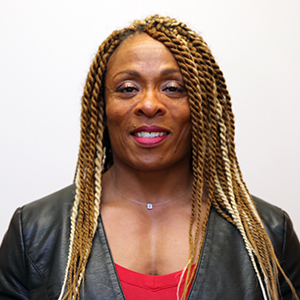 She has been a Student Recruiter and Financial Aid Officer for Career Schools, School Manager for Pivot Point International, Senior Class Tam Lead and Senior English lead Teacher in traditional college prep high schools and Assistant Principal of Ombudsman Chicago South. Audry holds a Bachelor of Arts in English Literature, a Masters of Arts in English Literature, a Master of Education in Educational Leadership, and an Illinois Teaching Certification (Type 09); Secondary Education. In addition, Audry served her country from 1985 – 1988 in the United States Air Force as a Ground Radio Operator. In her role at Ombudsman Chicago South, Audry is responsible for leadership development for all staff members who share the responsibility of improving student academic achievement. She excels in mentoring staff in their various roles at the campus through growth and development meetings, professional development classes, and by modeling her expectations.